The school library's computers have been stolen. Left behind was a ransom note demanding money. 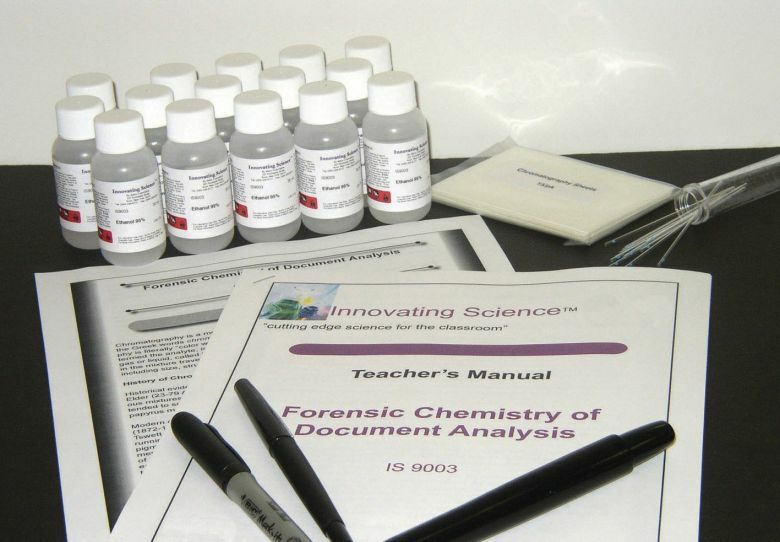 Help solve the crime using Thin-Layer Chromatography to separate the ink on the ransom note and ink found in markers tied to possible suspects. It may be possible to provide evidence as to whether or not the ransom note could have been written with a particular marker. This activity includes a Teacher's Manual and Student Guide and Analysis copy-masters. There is enough material for 15 groups.